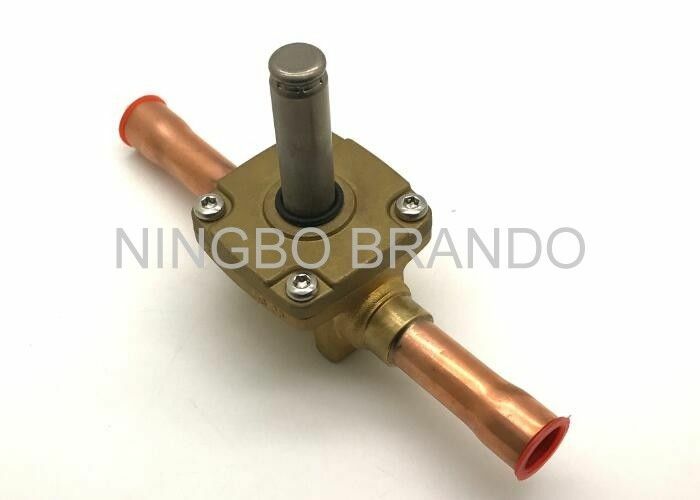 The refrigeration solenoid valve of EVR15-058S is made of brass body and copper pipe, adopt welding connection type, with high force of strength, could afford high pressure of flow. The plunger is designed by SS304 without any magnetism, but use high performance of mangtic stainless steel of 430FR as plunger, with smart action of starting while valve energized. We have two connection type of solenoid coil, one is junction box , another is flying lead. The length of flying leads could be customized.